This is a week long water based event. Thus you will need equipment which is both sutiable for the event, durable, waterproof, and in sufficent quanity, also for your overnight, off water, comfort. On the Clothing and Equipment pages of this website we have given Lists of what we consider to be suitable and adequate. You may wish to use slightly differnt or additional equipment and clothing, which provided they comply with the safety requirements of the event will be permitted by the organisers. If you have any doubt please ask us before the event, we do not want to have to stop you taking part! Each of the Lists is also available as printable downloads. it is the responsibility of Participants THEMSELVES - with what ever help their BB Company may offer - to provide or arrange. Through the BB Canoe Club and other resources we probably know where most things can be borrowed or even hired. If you want to take part but have not got your own (or Company) canoe, paddles, bouyancy aids etc, ASK! we will attempt to put a source in touch with you. BUT, make sure you ask at least 1 month before the event! 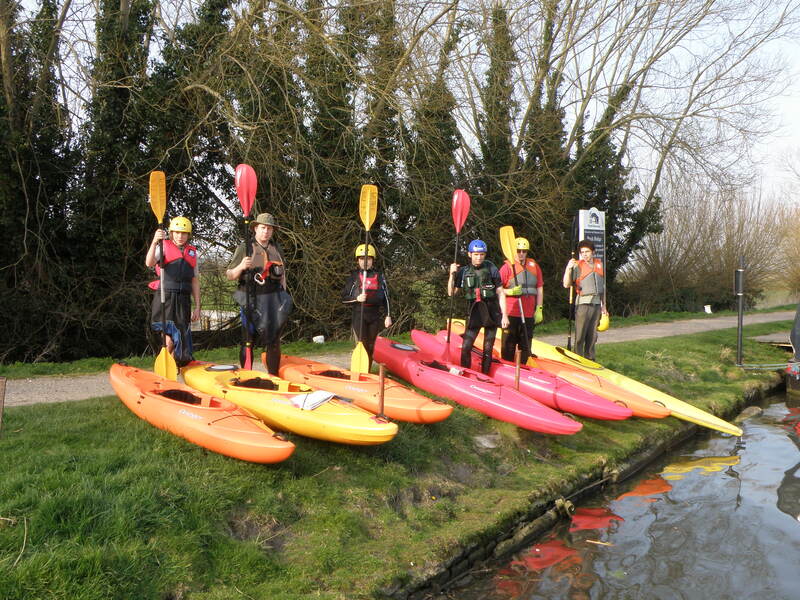 River License - within the BB Canoe Club we already have a number available and The Challenge will apply for extras needed. But if you already have your own - please advise! But YOU must provide any you want during the day for lunch etc! If taken on or near river it needs to be waterproof! Don't bring a lot of things. You will be moving to new overnight accomodation regularly and everything has to be taken with you! The Challenge Organisation can take no responsibility for damage, loss or theft. For most of the day no supervision can be given to any property and it may be in unlocked buildings or parked cars etc. ALL KIT must be labeled with indelible, waterproof, labels. ALL Boats and Paddles, need owners name (Just Christian if a person) and a phone number. All other kit name of owner (i.e. BB Company Name or Person).